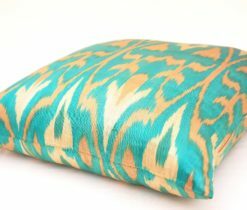 Decorative pillows and cushions can not only beautifully decorate the room of your house, but also bring there an unrepeatable comfort, as well as make the home “warm”. 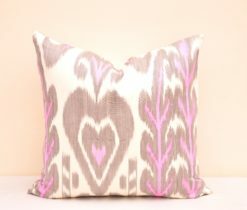 Luxurious decorative pillows are available in our Grand bazaar with a range of their different colors and patterns that will suit any contemporary or classically decorated room. 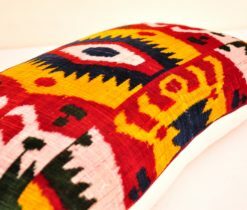 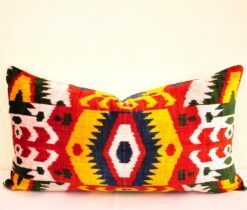 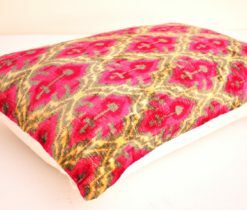 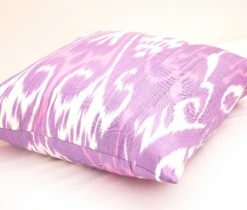 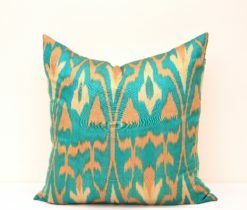 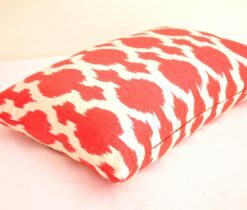 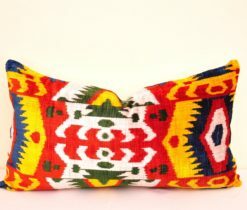 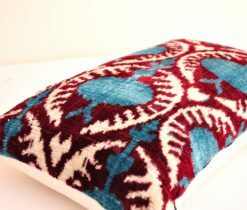 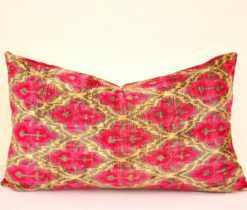 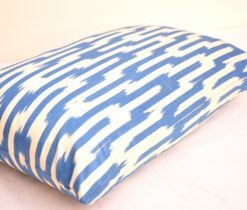 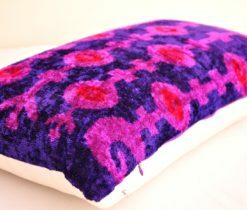 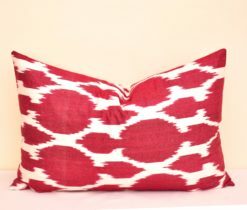 In this page you can find pillow covers that are made of traditional ikat or velvet fabrics. 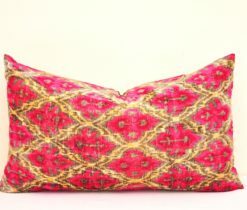 From subtly blended patterns to bold and vibrant, the pillow covers offer quality and attractiveness combined to the sense of hand-made ancient Asian charm. 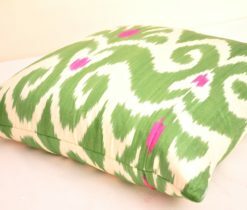 In the east, since ancient times, pillows and pillow covers have been considered as a traditional home décor item. 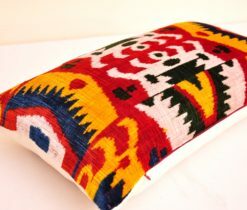 A bride had to bring pillows and “kurpachas” as a dowry to her husband's house. 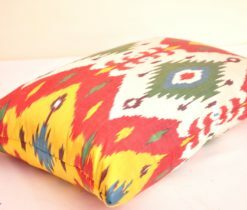 And since then, throw pillow covers has been given a special attention, they are sewn from different fabrics depending on their destination. 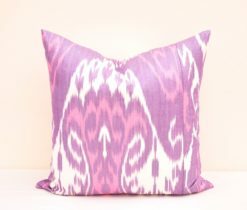 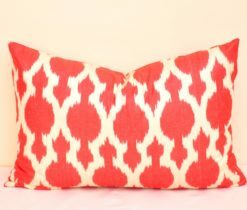 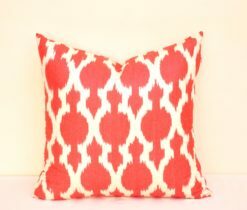 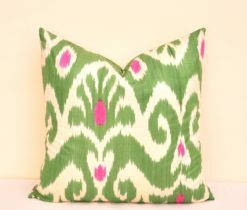 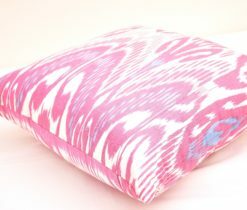 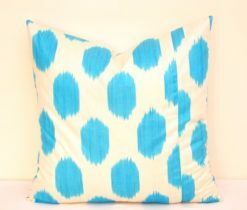 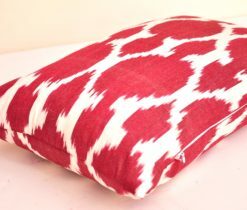 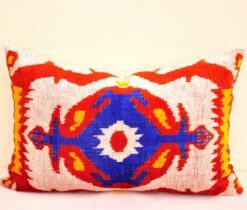 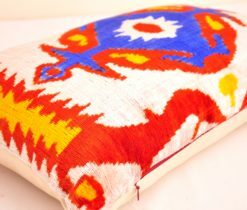 We offer you a wide variety of pillow covers from ikat fabrics, the pattern and color of which is not repeated, they are easily worn on the pillow, well washed and can add bright colors to your interior. 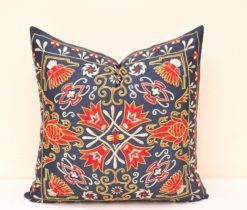 In addition, in our online shop you can find throw pillow covers 20x20, which are slightly different in size from the previous covers. 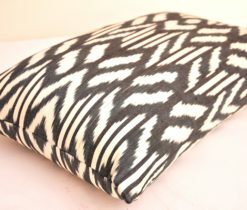 They have a square shape; their zip lock is invisibly sewn, which will not give you any discomfort. 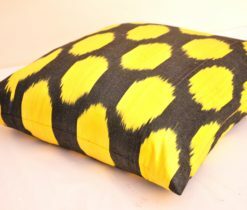 Pillow is a decorative element of both the interior in general, and the furniture on which it is put. 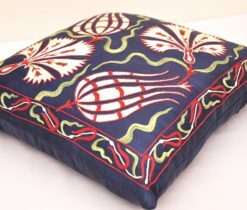 In fact, the furniture on which several pillows are laid varies considerably in view. 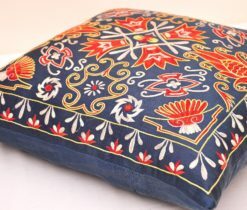 Its appearance absolutely changes and seems like interior of the furniture is full and finished. 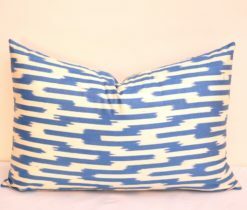 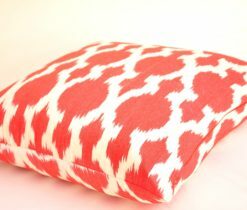 In our online store you can purchase beautiful decorative accent pillows of different shapes and colors. 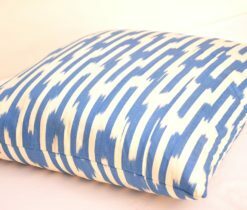 The advantage of pillow covers is that you can buy them separately and then change their appearance as often as possible. 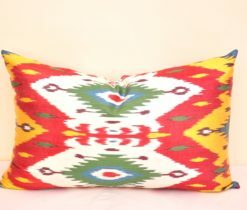 Decorative pillows in the interior are really indispensable, and not only in terms of décor, but also in moments when you lie down on the sofa or bed and put them under your head. 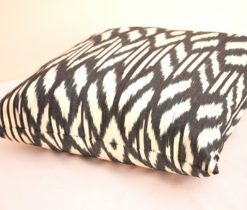 Moreover, there are accent pillows, which are made of different types of fabrics and texture. 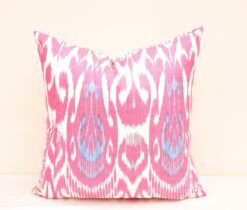 Choosing these pillows, you should determine either the accent will be on decorative elements or color of walls, floor or ceiling. 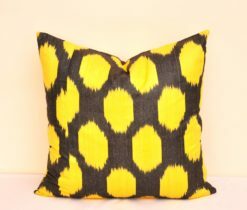 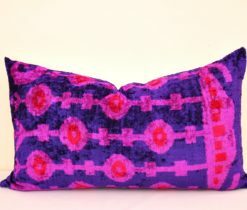 With their vibrant colours and stunning patterns, the Ikat pillows offer an eye-catching Throw Pillow Covers for your living space. 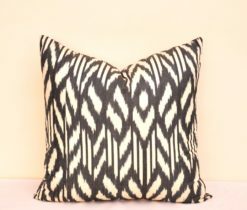 The traditional hand woven Ikat design is of ancient Eurasian origin, its styles and complex patterns offering a stunning mix of the eclectic cultures of the region. 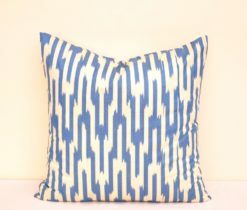 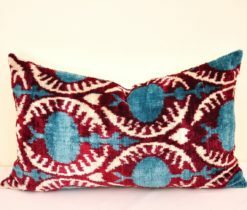 The intricate patterning derives from the ingenuity of the Ikat technique which sees the warps and wefts individually dyed before being put on the loom, creating distinctive Ikat look. 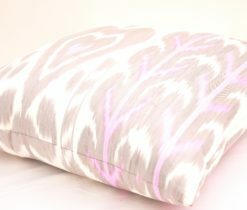 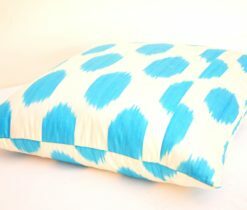 Known in Persian as ‘abr’, the Ikat pillows deliver a cloud-like sense of individuality and softness. 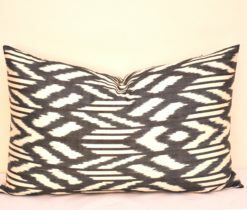 Woven with care and precision the pillows are decorative and stylish, with a range of different colours and patterns to suit any contemporary or classically decorated room. 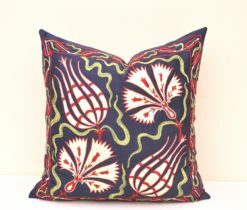 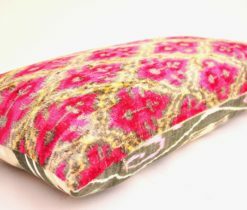 From subtly blended patterns to bold and vibrant, the pillows offer quality and attractiveness combined to the sense of hand-made ancient Asian charm .